I am excited to try the Mobily E-life 100 mbps connection which is set to be connected in my house by Saturday. I have been informed by my friends that they have really fast internet connection. At present I only have 20 Mbps from STC. 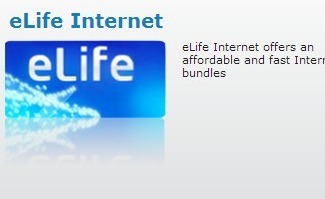 The good thing about E-life is that they will connect the fiber optic cable from connection box up until to the modem inside your house. As of today since, Mobily is still building up their customer list, all modem is free of charge. They have an offer to have 25 Mbps for 299 per month and for 100 Mbps with SAR 250 for the first 4 months and SAR 499 for the succeeding months. According to the operator if I am not satisfied with 100 Mbps I can downgrade my connection to 25 mbps for 299 per month. I did not know if there is a telephone line with my subscription. Monthly payment can be made through Sadad. I will update you after they made their installation. i have issue with Mobily Elife Fiber Connection, I am unable to Register My SIP Soft Phone with Mobily Elife Connection, if i am using Mobily 4G Service i am able to Register My SIP Soft Phone, Also i have try with STC Network it is working Fine, but only Mobily Elife have some issue i have try many time but my SIP Soft Phone not Register. i believe Mobily Block Some SIP Live IPs or some SIP Ports. Hey Dexter, try downloading torrents and tell us your average speed. Dont pay 500 every month for 100Mbps, 20Mbps is enough for anyone. Trust me i download more than 200GB per month with 20Mbps from STC Fiber. Donot sign up! I signed up 10 days back and still no sign of installer or installation , I have complained a 100 times and they donot care! They have already installed mine. Hi – How is the service so far? Are u getting the full bandwidth (25 MB) u paid for?